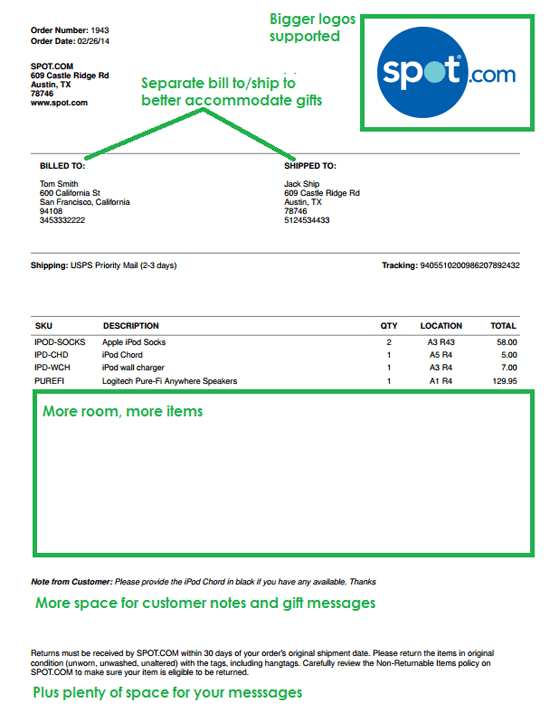 We solicited and received comprehensive feedback on the evolution of our Packing Slips. We learned that our customers use these in very different ways – which means more flexibility and larger spaces for messages in particular. Larger logos – your brand is important – make it the hero! Your message – plenty of space for you to include information, promotions, return instructions, etc. If you need any help with branding, logos or packing slip Settings, please email support@shippingeasy.com or call/chat us from the app.